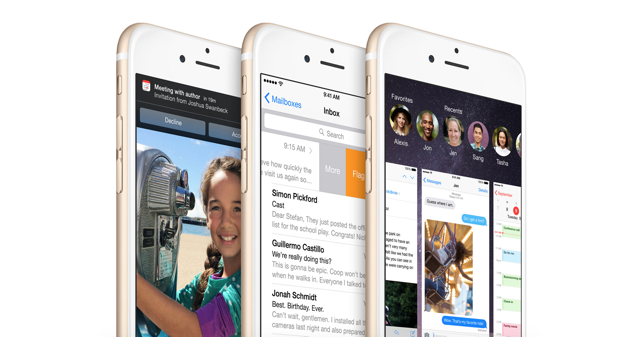 iOS 8.4.1 beta 2 download for iPhone, iPad and iPod touch users has been seeded to developers. The beta is available to download immediately via OTA or through Apple’s Developer Program channel. If you already have iOS 8.4.1 beta installed on your iPhone, iPad or iPod touch then grabbing beta 2 is a walk in the park. Simply launch the Settings app from your home screen, then tap on General then Software Update. After a few seconds the beta 2 update would show up, all set to be downloaded and installed onto your device. The footprint of the update is small, so don’t expect it to take a while to install, until or unless you have a choppy Internet connection. If you’re downloading fresh however, then you need to head over to the Apple Developer Program website to download the pre-release bits onto your device. The process involves signing up with an annual $99 fee, registering your iOS device with Apple, and then of course, updating your iPhone, iPad or iPod touch to the latest pre-release build. Though it sounds like as if a lot of legwork is involved, but once you’ve signed up to Apple’s Developer Program, grabbing beta builds and installing them onto your device is a walk in the park. After all, with one keen membership, you also get access to beta builds of iOS 9 as well as OS X 10.11 El Capitan. iOS 8.4.1 beta 2 (build number 12H318) is a pure bug fix release and comes just two weeks after the first beta of said firmware was released to registered developers. Also keep in mind that there’s no public beta for iOS 8.4.1, so end users have to wait it out until the final release hits consumer channels, the timeframe for which is currently unknown. But whenever the release does happen, we’ll definitely let our readers know about it, and also provide direct links to iOS 8.4.1 IPSW files, so stay tuned for that. At this point in time, there’s apparently nothing new in iOS 8.4.1 beta 2 visually, and all the changes seem to reside in how the operating system works behind the scenes. But if we do happen to spot anything new in relevance to iOS 8.4 – the current public release – then we will definitely update this article with those bits. Until then, we’re going out to explore what Apple has in store for us in the beta department, till then, hang in there and grab a cup of coffee.